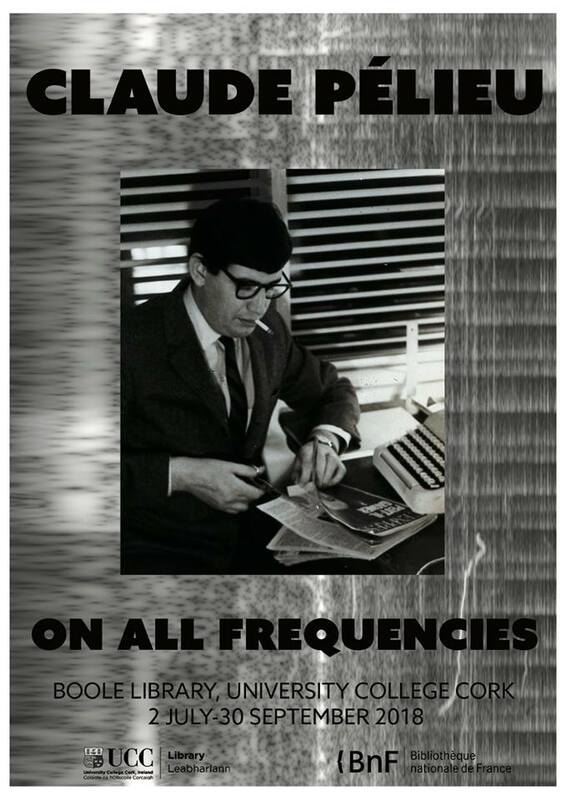 UCC Library’s latest exhibition Claude Pélieu: On all Frequencies curated by James Horton is now open and runs until 30 September 2018. Claude Pélieu (1934–2002) was a French writer, poet, collage artist and translator. Often considered as the only French member of that most American of movements, the Beat Generation, Pélieu is perhaps best understood as a free agent, a poet in exile who set out to document a country and a counterculture that fascinated and at times horrified him. This is the first occasion on which the Pélieu Archive recently acquired by the BnF – Bibliothèque nationale de France has been used for exhibition and research. The exhibition is located on the ground floor of the Boole Library, main campus University College Cork. Admission is free and all are welcome during the opening hours of the Boole Library.